Wil Dasovich explains his hiatus from social media and speaks up about the burden of being a "figure of hope." 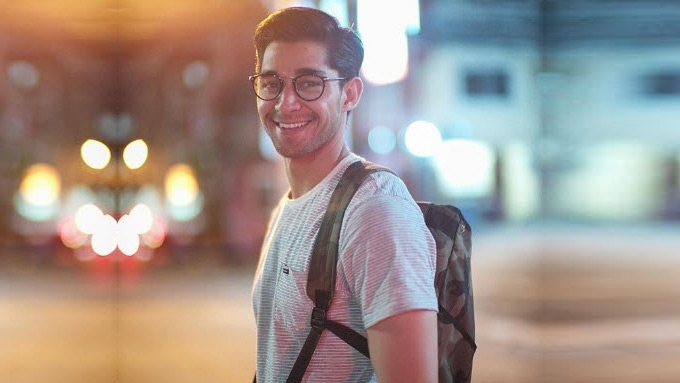 Wil Dasovich surprised his subscribers early this month when he updated his YouTube channel with the vlog, "Why I Can No Longer Stay in the Philippines (Moving On)." In that vlog, he revealed for the first time his innermost thoughts about being labeled a "figure of hope" after surviving cancer, and how the responsibility has left him feeling overwhelmed. He also explained his hiatus from social media,"So much happened and it's all so fast..." Wil began in his vlog. "I just got carried away with everything, but the time has finally come. "I didn't really think about it as the days grew near and how the anticipation just became exponential and... you know? "Now, it's coming up, and it's like back to reality..."
When Wil announced that he was diagnosed with cancer in August 2017, the social media star openly shared his story on his YouTube channel. He updated everyone on his health status, detailing each phase of his treatment through his vlogs. Then in February 2018, when he completed his series of treatments, Wil received the good news: He was cancer-free. This made Wil more determined than before to share his story and inspire others, which he did through various media platforms. But as he revealed in his recent vlog, it eventually took an emotional toll on him. "From the very beginning of last year, when I arrived in the Philippines, I was just welcomed with an overwhelming amount of positivity and support, which I felt would be the start of a productive and successful year. "And so it was. Things picked up really fast. It was like I was back where started, going full force, and embracing every opportunity that was thrown at me. "It was, like, I had this new life, and I was so excited to share my journey with all the people that cheered me on and helped me through the tough times and excruciating experiences. "I wanted to ride this wave of euphoric emotion and capitalize on my own inner happiness. "And then, spread that out there, to people watching me—you, the viewer. "And as much as I enjoy these adventures that I take to partake in and the stories I get to tell, there's nothing that makes me more happy than just being able to do something that affects someone watching or listening to me in a positive way. "The biggest driving force in most of people's channels, especially this one, is the idea that what you are doing is making a difference. "Whether it's as simple as making someone laugh or, on a greater scale, being an inspiration, or, in my case, being a figure of hope. "It's a role that I very well embraced. And every thing I'd done, and the way I've lived my life was something I believed it. "With a positive mindset, you can overcome anything, and never let challenges be the things that bring you down. "At no point has it ever been easy being a figure of hope, but for the most part, I was always able to manage it. "Wouldn't mind sharing what everything that I've been through, whether it's on national television or to a group of friends. "At the back of my mind, I know I'm helping others by sharing my story. "However, something I've never talked about or discussed through this channel or interviews or to anyone for that matter, is how difficult it became for me over time to continue talking about the same thing over and over again." At the start of the year, Wil returned to his hometown in the United States. Here, he was scheduled to undergo a series of test to get an update on his health status. While waiting for the medical report, Wil reflected on the year that had been and the burden he felt as a "figure of hope." The vlogger continued, "I never wanted to complain about it or seem ungrateful given that I'm alive and healthy and doing better than a lot of unfortunate people out there. "One of the difficult truths I shied away from talking about is how, as time went on, you know, it became somewhat repetitive, and it became a daunting task to keep thinking about everything that had what happened. "Every time I'm asked about my experiences, I have to go back and recollect every thing that had happened. "And every time I do this, it's like to some extents, I have to relive these moments..."
Wil termed the feeling as "a slight form of PSTD" or post trauma disorder. He remarked, "I don't want to make it sound more intense than it already is, but it is flashbacks of a dramatic experience that lingers within—hasn't completely gone away yet." As a prominent figure in social media, Wil also acknowledged the double-edged challenges of the digital era. He said, "Whether you're just trying to promote positivity or just do something good, I think the thing that matters most about anything is truth. "The thing is with social media, every thing has become fabricated in a way to show you how great everyone is doing. "And that leaves this unrealistic fallacy about how incredible everyone's lives are, which can be unhealthy as a consumer on a daily basis of that." Having explained himself, Wil has gradually avoided the topic of his cancer journey. He often received messages from cancer patients or family members whose loved one was diagnosed with cancer. He graciously replied to each one of them with words of encouragement, until the repetitiveness wore him down. Feeling emotionally overwhelmed, he stayed away from social media for a time. He said it was "to protect myself, so that it doesn't affect my productivity or sanity for that matter." Wil continued, "I didn't particularly mean to disappear off of social media. I didn't mean for anyone to get worried about me. "That wasn't my intention, so I realized I needed to make at least a vlog and update everyone. "Put speculations to rest about why I disappeared and what's going on, and just let you know that things are okay and, for the most part, I'm doing okay. "I understand that a lot of people followed my journey because of this story and every thing that I went through, so I feel like, at the least, I owe it to everyone and to the people I care about and support me. "Because at the end of the day, I never forget that they—you—are the real reason to most of my success." Wil said his time away helped him refocus his life priorities. He related, "Being back at home has given me a lot of time and solitude alone, which is something I haven't experienced in a really long time and I think it's really healthy. "It's good every now and again to spend some time alone where you can reflect. "Be able to gather your thoughts and think independently and just regroup. "If there's anything I've learned from this or a piece of advice that I could give, you know, take a break every now and then off of social media. "In particular, a few days or maybe even a week if you can, and just see how it makes you feel. "It's kind of revolutionary not knowing what everyone else is doing. "It can really help you concentrate on yourself, your goals, and what it is that you need to do to improve and whatever it is that you want to get better at and focus on for that matter. "Take some alone, preferably in nature where it is easier to meditate on whatever it is that you need to ponder on. "Then when you're done, come back strong, rejuvenated, and ready to go." Toward the end of the video, Wil apologized to the people who have been affected by his unannounced hiatus, particularly the brands he was supposed to collaborate with. He said, "I understand that it's not professional and it's not how I want to be perceived, but, at the same time, I'm just going through this until I get my results back from the scans and everything. "Things are going to be delayed until that point when I can really focus. It's life priority type of stuff... and I hope you can understand. "The bigger picture to all of these, that aspect of greater significance, is just me being honest and expressing the notion that I am scared. "That's the only reason why I've had trouble with all of these and anything I've mentioned previously. "And it's simply, confronting fear has never been an easy thing. "But no matter how difficult it may get at times or how frightening it all is, I never let fear take control of my life. Wil said that confronting his fear to speak out about his innermost thoughts made him feel better. "And it's therapeutic. Being scared is natural and it's okay." In the meantime, he expressed his optimism about the result of his recent medical tests. "I still don't have any results form my scans or anything, and when I do, I'll be sharing it and releasing it on my next vlog."